Tressemannes & Vogt Limoges Oval Serving Bowl. Imported by Higgings and Seiter. 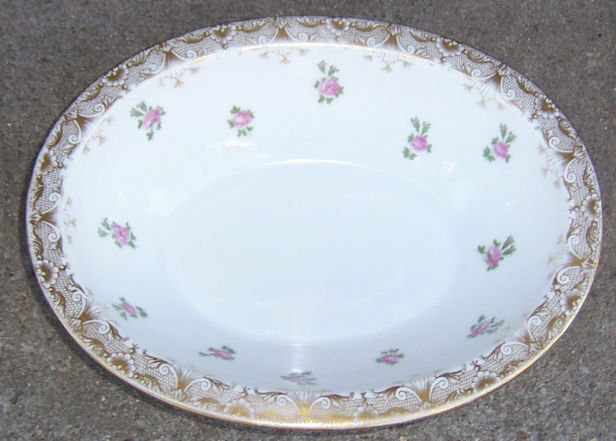 Bowl is Decorated with Scattered Roses inside and outside and Gold Filigree Design at top edge. Bowl is 3" high, 9" long, 7" across. Very good condition. 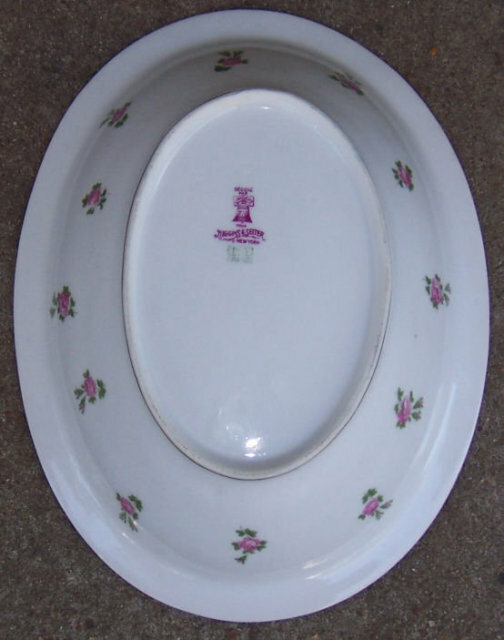 Items Similar To "Beautiful Limoges Oval Serving Bowl with Roses w/Gold"